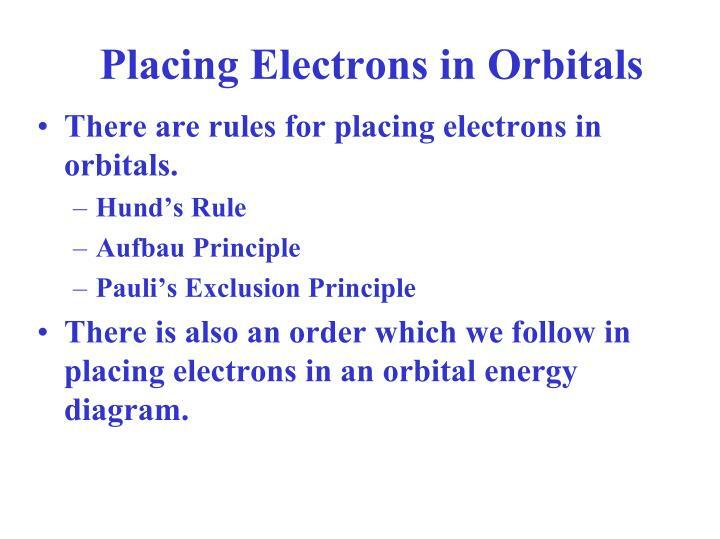 There are rules for placing electrons in orbitals. 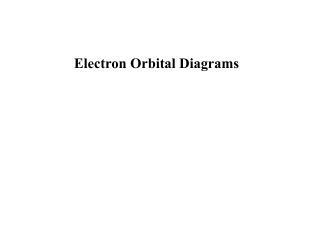 There is also an order which we follow in placing electrons in an orbital energy diagram. Do you notice any pattern? 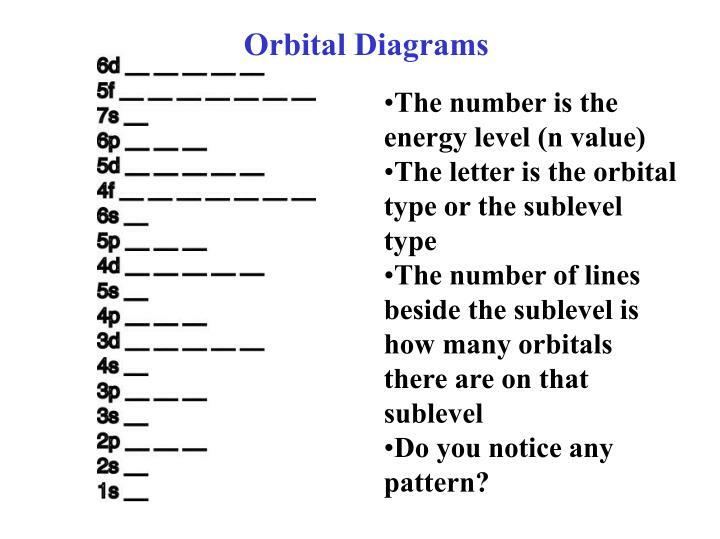 For every n value, the s orbital is the lowest energy. It looks like a pattern starts, but then it is broken as 3d is higher in energy than the 4s. 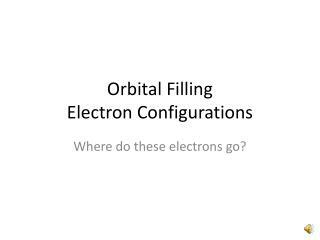 How do you place the electrons in these orbitals? Let’s try. 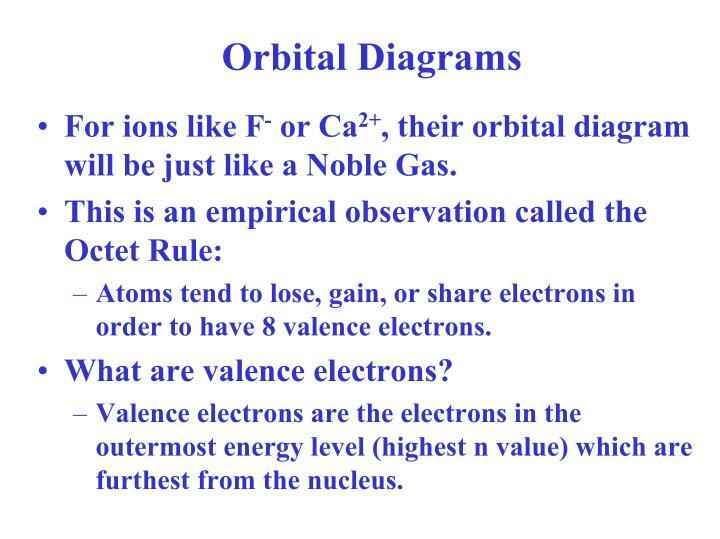 For ions like F- or Ca2+, their orbital diagram will be just like a Noble Gas. Atoms tend to lose, gain, or share electrons in order to have 8 valence electrons. 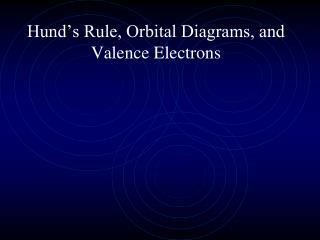 Valence electrons are the electrons in the outermost energy level (highest n value) which are furthest from the nucleus. 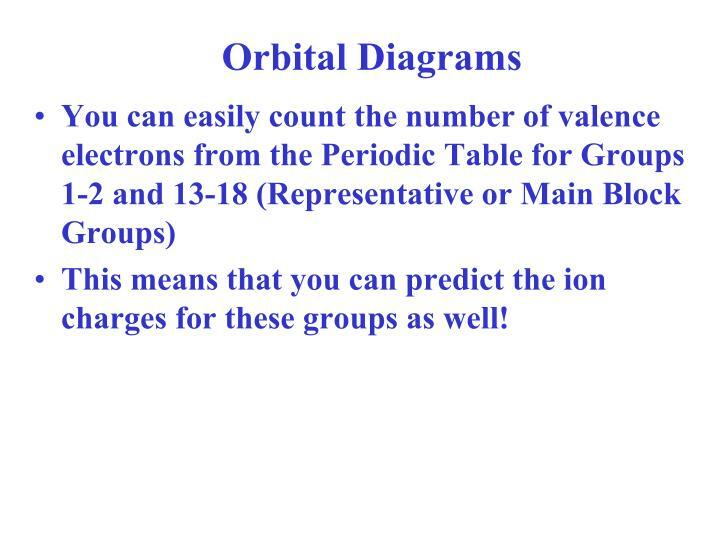 This means that you can predict the ion charges for these groups as well! 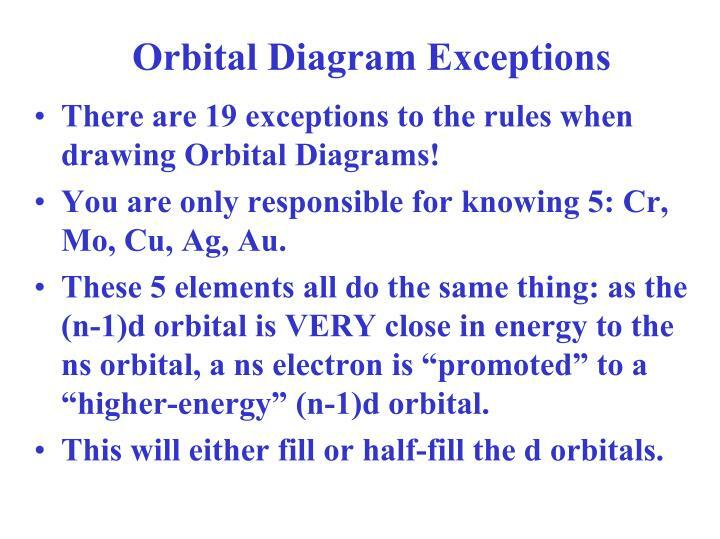 There are 19 exceptions to the rules when drawing Orbital Diagrams! You are only responsible for knowing 5: Cr, Mo, Cu, Ag, Au. 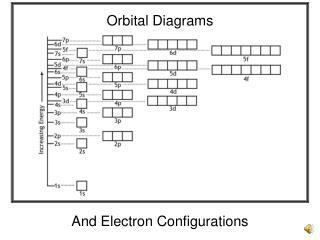 These 5 elements all do the same thing: as the (n-1)d orbital is VERY close in energy to the ns orbital, a ns electron is “promoted” to a “higher-energy” (n-1)d orbital. This will either fill or half-fill the d orbitals. Because the d orbitals are filled or half-filled, the atom gains stability overall. 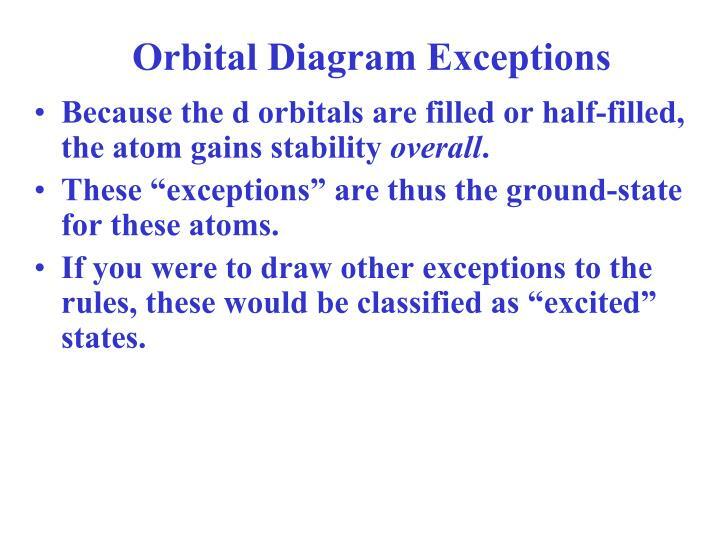 These “exceptions” are thus the ground-state for these atoms. If you were to draw other exceptions to the rules, these would be classified as “excited” states. 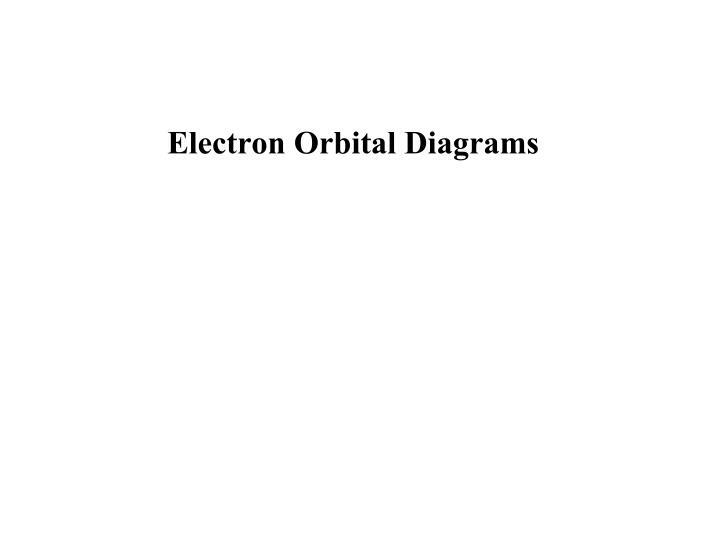 Orbital energy diagrams tell us what electrons/orbitals an element fills in its ground state (most stable state). But they are tedious to draw and they must be in a figure. So how can we get the same info but be able to write it in a sentence? 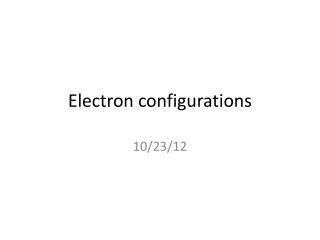 Electron configurations let us do this. 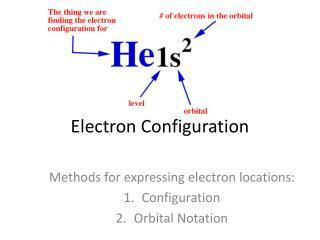 What about the electron configuration for Sr? When you write the correct electron configuration for the ground state of Sr, notice that you group the n values together. 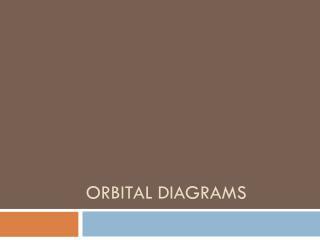 This is different from how you wrote the orbital diagram which is strictly based on filling order. 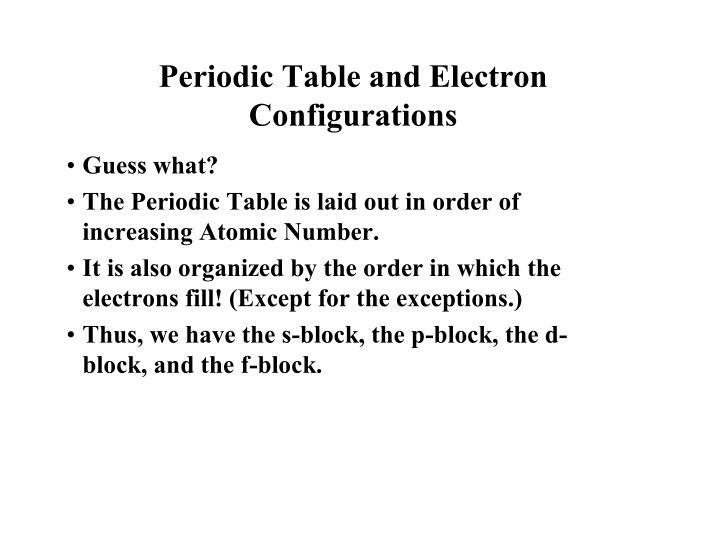 Why do we write the electron configuration this way? 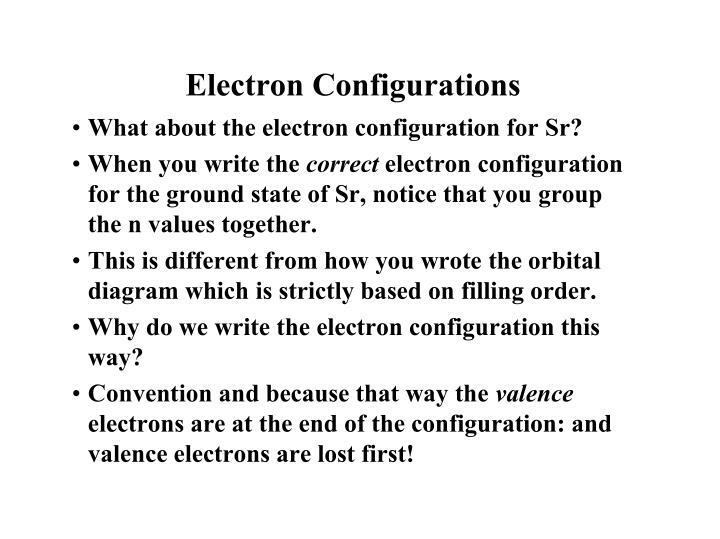 Convention and because that way the valence electrons are at the end of the configuration: and valence electrons are lost first! 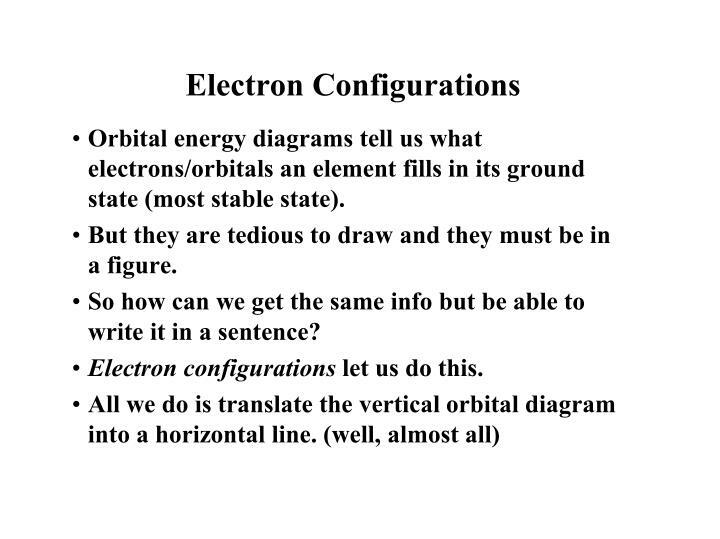 But even electron configurations get long and tedious to write. 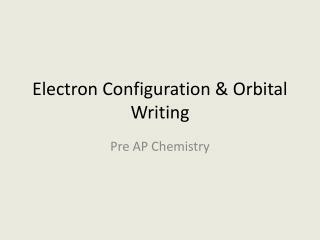 Write the electron configuration for gold! How can we make this shorter? 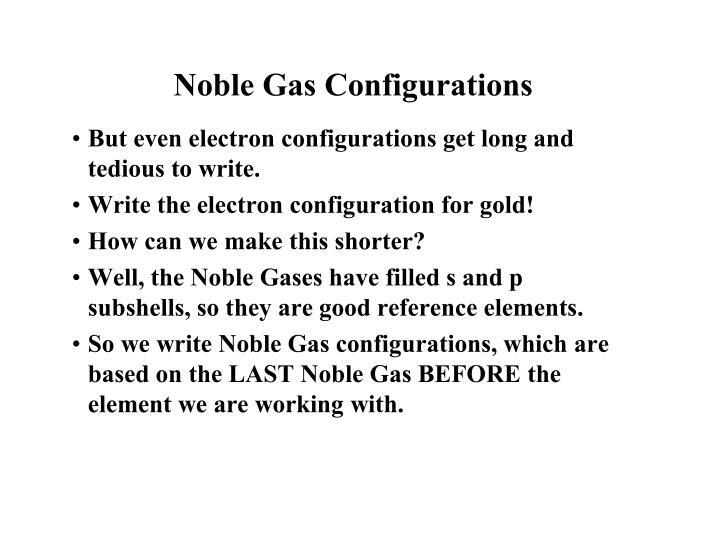 Well, the Noble Gases have filled s and p subshells, so they are good reference elements. 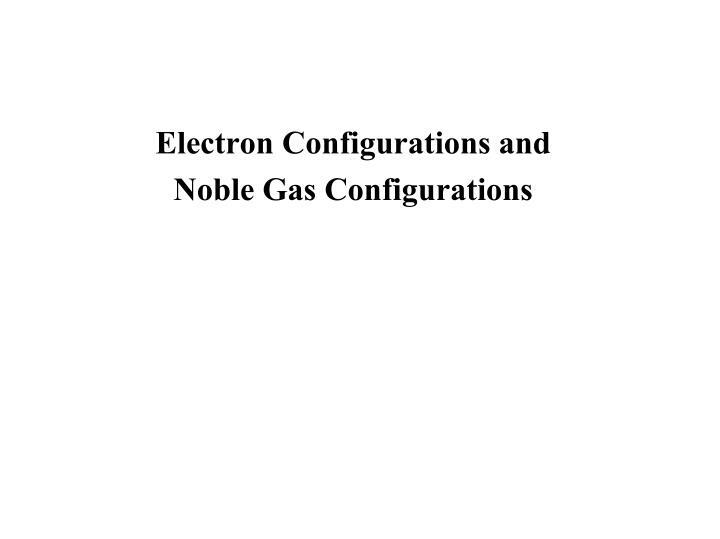 So we write Noble Gas configurations, which are based on the LAST Noble Gas BEFORE the element we are working with. The Periodic Table is laid out in order of increasing Atomic Number. Thus, we have the s-block, the p-block, the d-block, and the f-block. 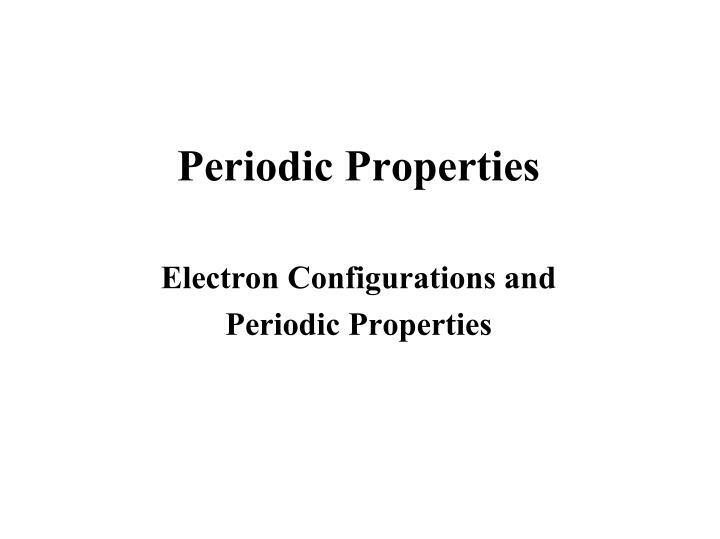 Members of a group have similar chemical properties. Why? 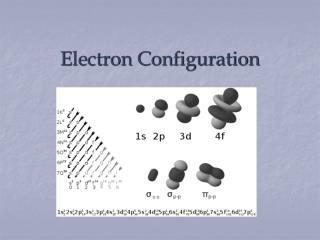 They have the same number of valence electrons, or their outermost electron configurations are the same. 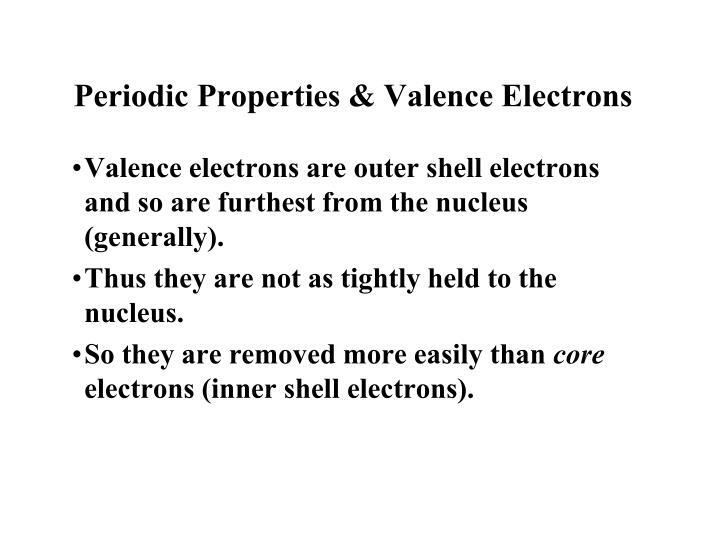 And valence electrons are responsible for chemical properties. 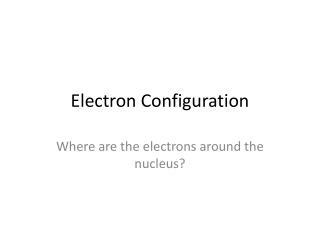 Valence electrons are outer shell electrons and so are furthest from the nucleus (generally). Thus they are not as tightly held to the nucleus. So they are removed more easily than core electrons (inner shell electrons). 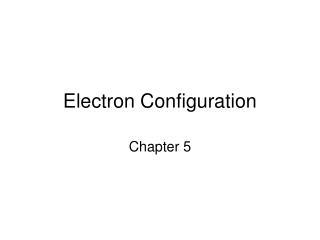 Also, the core electrons with their negative charges block or insulate or "shield" the valence electrons from feeling the full nuclear charge. 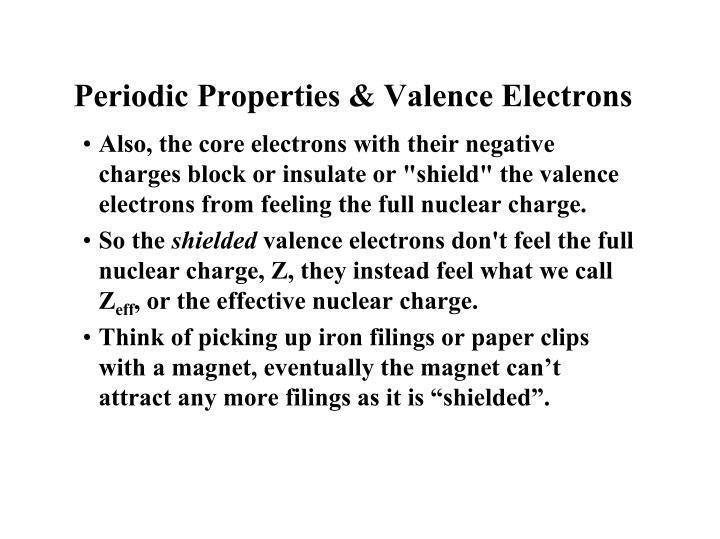 So the shielded valence electrons don't feel the full nuclear charge, Z, they instead feel what we call Zeff, or the effective nuclear charge. Think of picking up iron filings or paper clips with a magnet, eventually the magnet can’t attract any more filings as it is “shielded”. 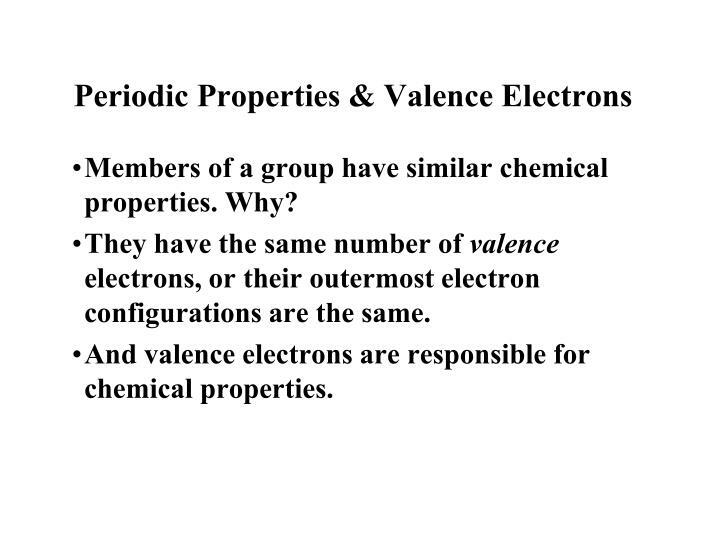 Members of the same group have the same number of valence electrons and have similar properties as those valence electrons behave similarly. 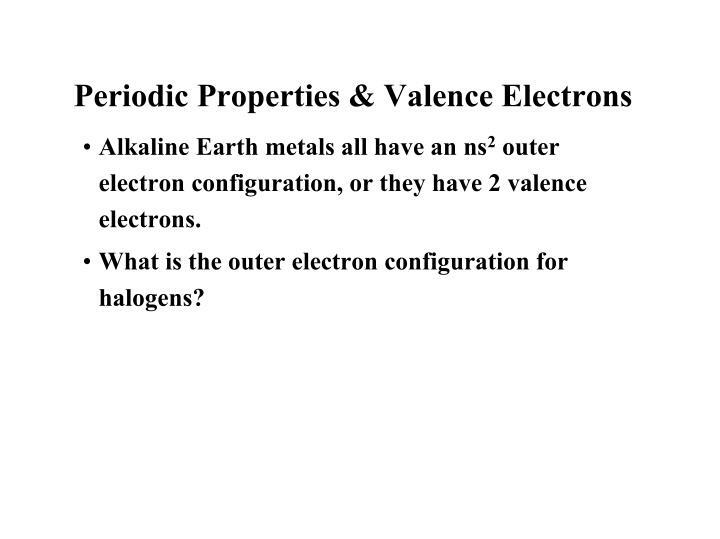 For example, all of the Alkali Metals have 1 valence electron, with an outer electron configuration of ns1. 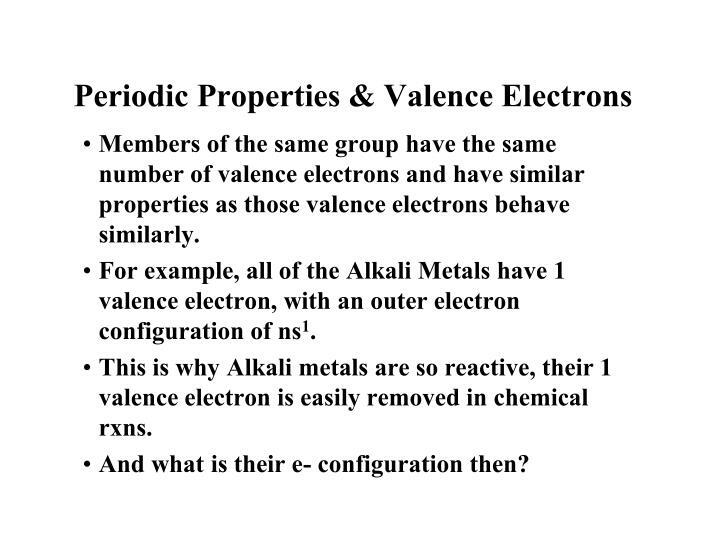 This is why Alkali metals are so reactive, their 1 valence electron is easily removed in chemical rxns. And what is their e- configuration then? Alkaline Earth metals all have an ns2 outer electron configuration, or they have 2 valence electrons. 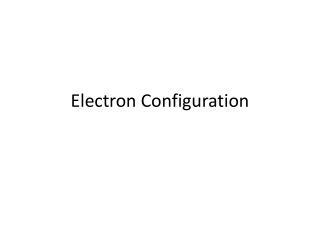 What is the outer electron configuration for halogens? But chemical reactivity is not the only periodic property or trend which we can see in the Periodic Table. 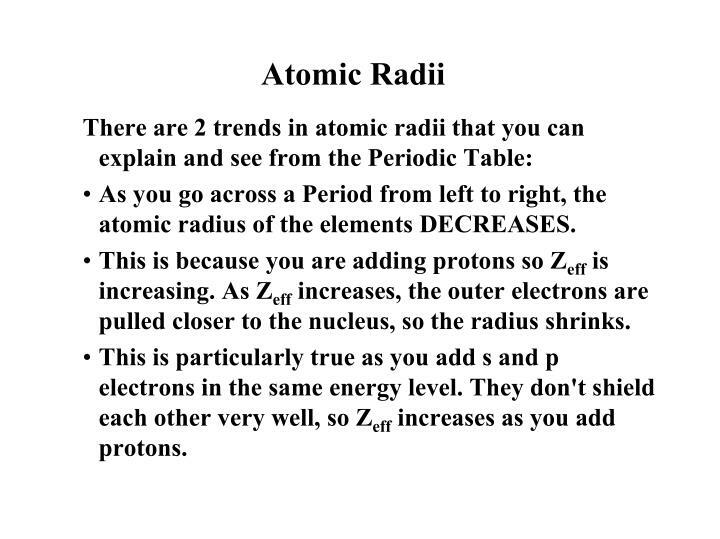 Another important Periodic Trend or Property is the atomic radii, or the radius of an atom, or 1/2 the diameter of the atom. 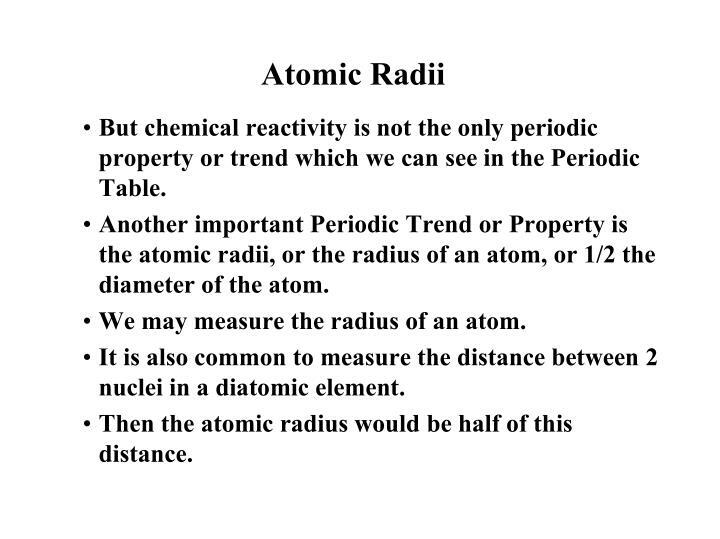 We may measure the radius of an atom. It is also common to measure the distance between 2 nuclei in a diatomic element. Then the atomic radius would be half of this distance. 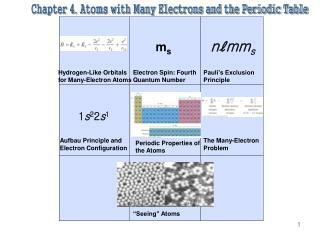 As you go across a Period from left to right, the atomic radius of the elements DECREASES. 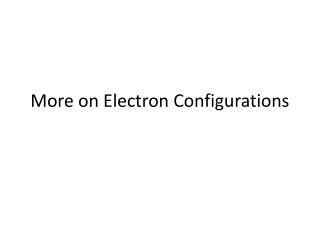 This is because you are adding protons so Zeff is increasing. 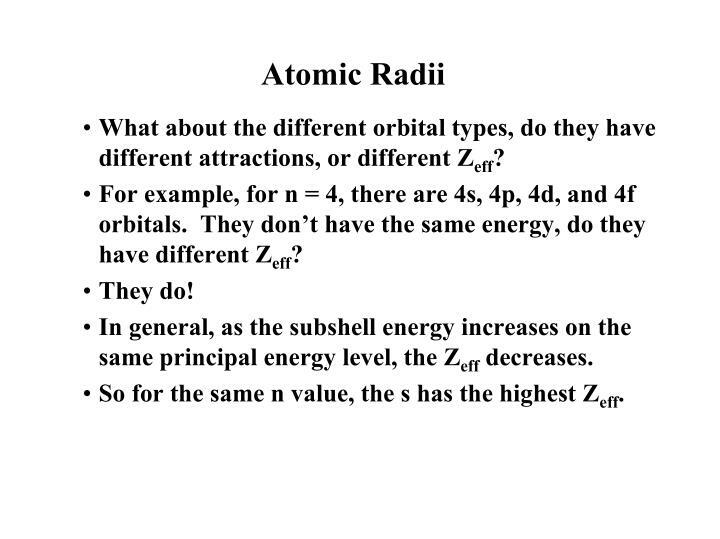 As Zeff increases, the outer electrons are pulled closer to the nucleus, so the radius shrinks. This is particularly true as you add s and p electrons in the same energy level. They don't shield each other very well, so Zeff increases as you add protons. 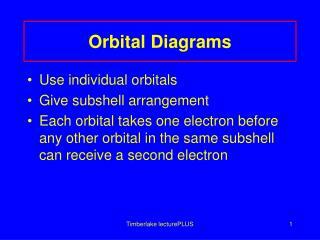 What about the different orbital types, do they have different attractions, or different Zeff? 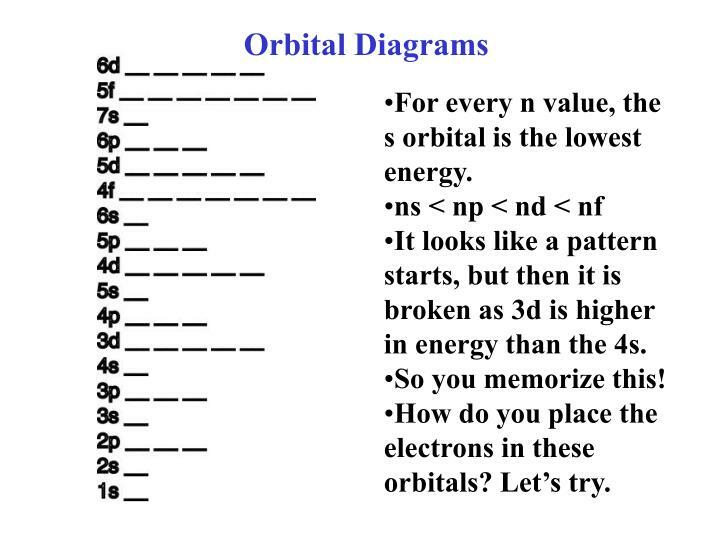 For example, for n = 4, there are 4s, 4p, 4d, and 4f orbitals. They don’t have the same energy, do they have different Zeff? 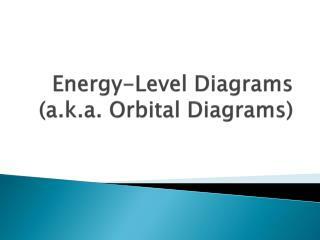 In general, as the subshell energy increases on the same principal energy level, the Zeff decreases. So for the same n value, the s has the highest Zeff. 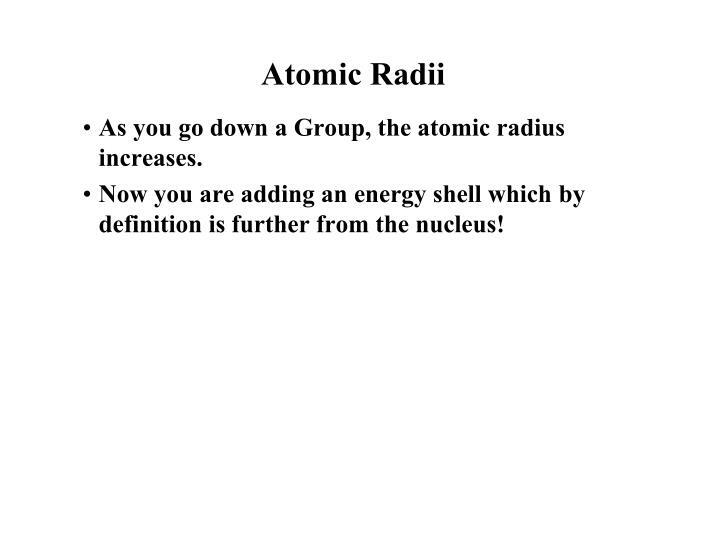 As you go down a Group, the atomic radius increases. Now you are adding an energy shell which by definition is further from the nucleus! 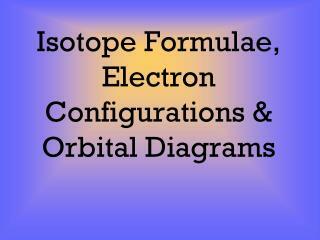 Molecular Orbital Diagrams -. ru 2+. multiplicity = 2s+1. e. ground state s = _____. multiplicity = _____. 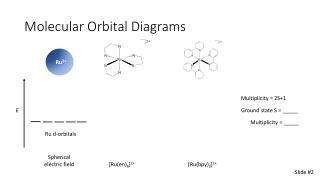 ru d-orbitals. spherical electric field. [ ru (en) 6 ] 2+. [ ru ( bpy ) 3 ] 2+. 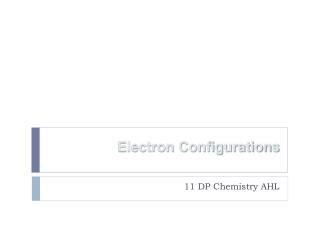 slide #2. metal-to-ligand charge transfer (mlct). 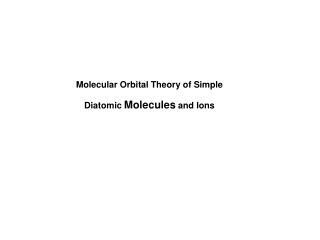 Molecular Orbital Theory of Simple Diatomic Molecules and Ions -Molecular orbital theory of simple diatomic molecules and ions. 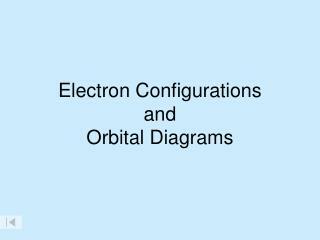 And Electron Configurations -Orbital diagrams. 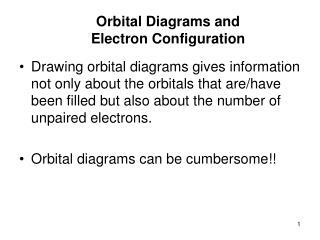 and electron configurations. 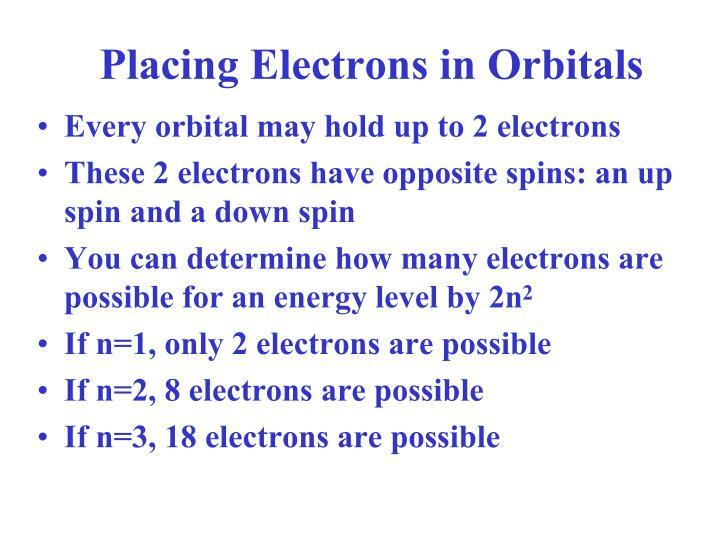 electrons behave as though they are spinning on their axis. a half arrow is used to indicate if the direction of the spin is up ( ) or down ( ). 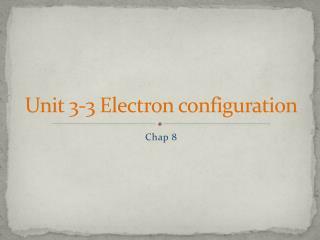 electron configuration.